Forcible gallbladder flushes are a fad among adherents of alternative medicine, holistic cures and home doctoring. Apple cider vinegar and olive oil do have proven health benefits, and when used in moderation, can certainly support a healthy diet. Unfortunately, there is no scientific or medical basis for the claims that ingesting apple cider vinegar or drinking olive oil will dissolve or help you to expel gallstones, although olive oil is reported to be more beneficial. Your gallbladder is attached to your liver and shaped like a pear. Its job is to produce bile, which it releases through a thin tube called your bile duct. Gallstones can block this duct, making the dammed-up bile inside of your gallbladder become infected. This causes severe pain and often jaundice, or a yellowing of the skin and eyes. Gallstones can be detected by ultrasound, and they are usually treated by having your gallbladder removed. Raw, unprocessed apple cider vinegar contains visible live enzymes that do have proven health benefits. This sediment, called “mother,” gives unprocessed apple cider vinegar its nutritional kick. Aside form vitamin C, apple cider vinegar also contains acetic acid, which is known to help slow the insulin spike that occurs after eating starchy carbs. Ash helps balance your body’s acid-to-base ratio, or pH, while calcium and potassium are good for bones and teeth. Pectin helps control cholesterol and also contains fiber. While all of these are healthy, none of them will forcibly flush anything out of your gallbladder. Olive oil contains heart-healthy omega-3 fatty acids. It also contains the best kind of dietary fat -- monounsaturated fatty acids. These fats help scour LDLs – low density lipoproteins, or bad cholesterol – from your bloodstream to be processed and eliminated. They also encourage and support the production of HDLs – high density lipoproteins, or good cholesterol. Olive oil consumption is good for your gallbladder because it helps it contract and empty every time you eat some, according to the Weight-control Information Network, which is a service site from the National Institute of Diabetes and Digestive and Kidney Diseases. Frequent contraction helps prevent stones from forming. Olive oil is still a fat, so consuming more than a few tablespoons per day will raise your total calorie intake while having no appreciable effect on your gallbladder. The things that may come out of you if you decide to do a gallbladder flush are not gallstones. Olive oil mixes with other organic matter in your body and saponification occurs, so what you are seeing is little globs of olive oil that have been turned into a soapy substance. They will generally float in toilet water. If they were gallstones, they would sink. 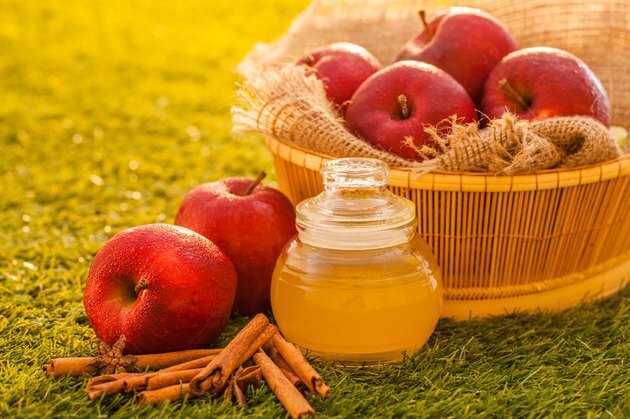 Regularly ingesting large quantities of undiluted apple cider can ruin the enamel on your teeth and can damage your mouth and your esophagus. Taking in large quantities of olive oil can interfere with your body’s natural elimination, causing chronic constipation or diarrhea. Neither will prevent, nor have any effect whatsoever on, actual gallstones. University of California Department of Surgery: What is the Gallbladder and the Bile Duct? Does Lemon Juice Help Pass Gallstones?